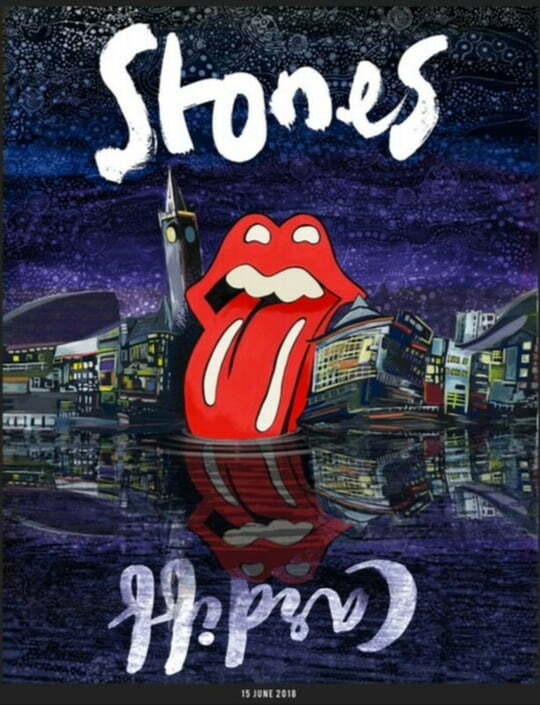 This thread is for live updates and comments regarding The Rolling Stones No Filter show in Cardiff UK 15-June-2018. Edited 1 time(s). Last edit at 2018-06-15 14:46 by bv. Leaving London now on my way to Cardiff. Don't forget not to leave it too late to get here, Motorway and Main Routes into Cardiff get very busy Friday late afternoon/early evenings even without an event. Also, just want to remind you that whilst Cardiff is a very People Friendly place it is not really a Car friendly place, so Stay out of Bus Lanes and dont get caught in Yellow Boxes...you WILL get fined!..And all Speed and Junction Cameras work. Have a great day in our Capitol City and enjoy The Greatest Rock N Roll Band In The World. Lucky Dips still available on AXS. Enjoy the show. Will be great! ...it seems like A 100 years ago since they played here last. Hoping for Their Satanic Majesties Request in its entirety Tonight! I'll try to Periscope tonight. You'll be lucky, we ain't got any of that modern fandangled Intrewebnetty thingamajiggy thing over here. No way you are going to get a Submarine up the River Taff..
At work in Swindon. I'm booked on the 12.40 train to Cardiff. Station is a 10 minute walk away from my office. This is logistically the easiest gig of the tour for me. I'm solo Lucky Dipping today and as a 51 yo male I'm unlikely to benefit from any 'secret selection' but I'm not giving up. I'll be there with my fingers crossed. Looking forward to this, especially as it looks likely I'll get my 1st ever live performance of Cloud. Mini Skirt & some Lipstick..you'll be fine! The Cardiff litho is Fantastic in person! Slightly smaller than others (!) and great graphics. to risk traveling with litho, havta order. Just setting out from sunny Brum. Mixed emotions, last concert of this tour for me, the last two weekends have gone so quick and so many great memories. I thought 3 shows I might begin to regret it, but I find I need more. Is it the one shown before? How much are the Inflatable Palm Trees this time round? Yeah, where's the litho? Always excited to see these. Edited 1 time(s). Last edit at 2018-06-15 21:35 by Irix. I wish you and all of us the best of luck! With all the info, you have supplied I reckon you deserve a pit. I am in the golden circle tonight. Was supposed to be on my way, but waiting for the brother-in-law to pick us up, and he is always bloody late! !